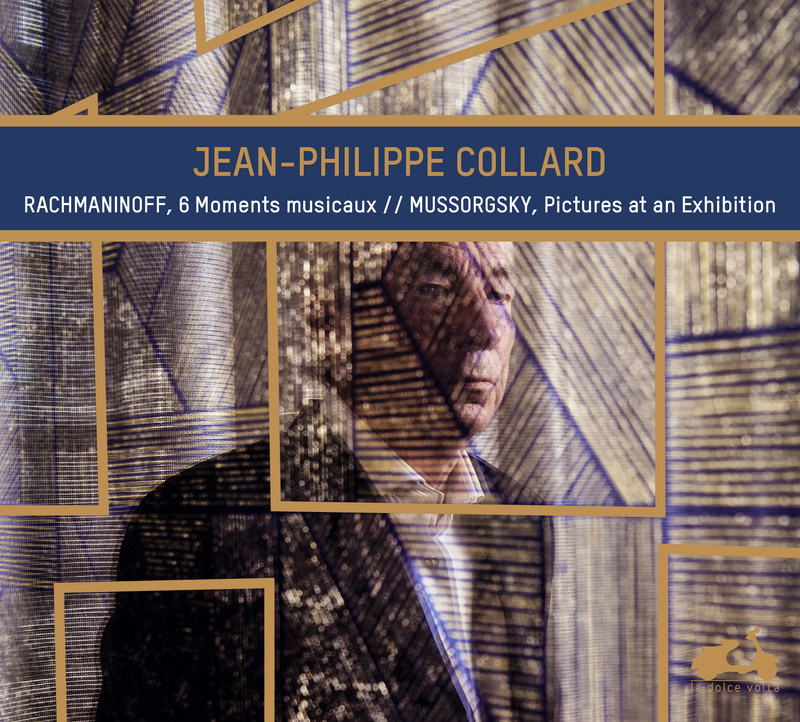 « Jean-Philippe Collard is an outwardly quiet performer who does not go in for heart-on-the-sleeve emoting. Instead, he develops his interpretations thoughtfully, establishing a mood or building a dramatic climax almost without one’s being aware of what is happening. As a result, the music seems to live a life of its own, almost independent of the pianist’s ministrations, which is as it should be ». For any pianist, interpreting Pictures from an Exhibition is a double challenge. The first is certainly technical, but this is not the more important. By contrast, conveying the variety of atmospheres is extremely tricky. Are these the successive scenes of an ‘opera without words’? The slightest difference in inspiration between the pictures, the slightest hint of illogical construction can annihilate the dramatic progression of the whole. Jean-Philippe Collard’s version stands out for its fluidity and wonderful naturalness. He constantly renews his touch, thinking ofPictures from an Exhibition first and foremost . . . in its orchestral dimension. The artist never tries to do too much, painting each picture with imagination but sobriety, always taking care over balance. Thanks to this sense of narration, Baba Yaga and The Great Gate of Kiev hit the interpretative bull’s-eye. His overflowing energy recalls a certain Horowitz, with whom Jean-Philippe Collard forged a close friendship in those crucial years when artistic maturity is moulded. Composed in 1896, the six Moments musicaux bear witness to Rachmaninoff’s melodic genius. In these pieces, he pays homage to several composers of the Romantic era, including Franz Schubert who himself wrote a set of Moments musicaux. Slavic melodies, hectic rhythms, meditations or reminders of the power of the symphony orchestra mingle in these pieces by the Russian composer, which evoke impressions rather than places or characters.